The United States of Liver Health? Welcome to October - Liver Awareness Month or is it Liver Cancer Awareness Month? Perhaps instead you celebrated in March in Canada, or April for organ donation, or May for hepatitis, or July for World Hepatitis, or last month for Primary Sclerosing Cholangitis. Is our ribbon hepatic burgundy, a jaundiced yellow, a jade green, or a bright blue? These outward signs of discordance are reflections of the fragmentation of the liver health community itself. Perhaps we should consider the first barrier to effective liver policies we need to overcome is the diffusion of our efforts across multiple organizations and types of liver conditions. 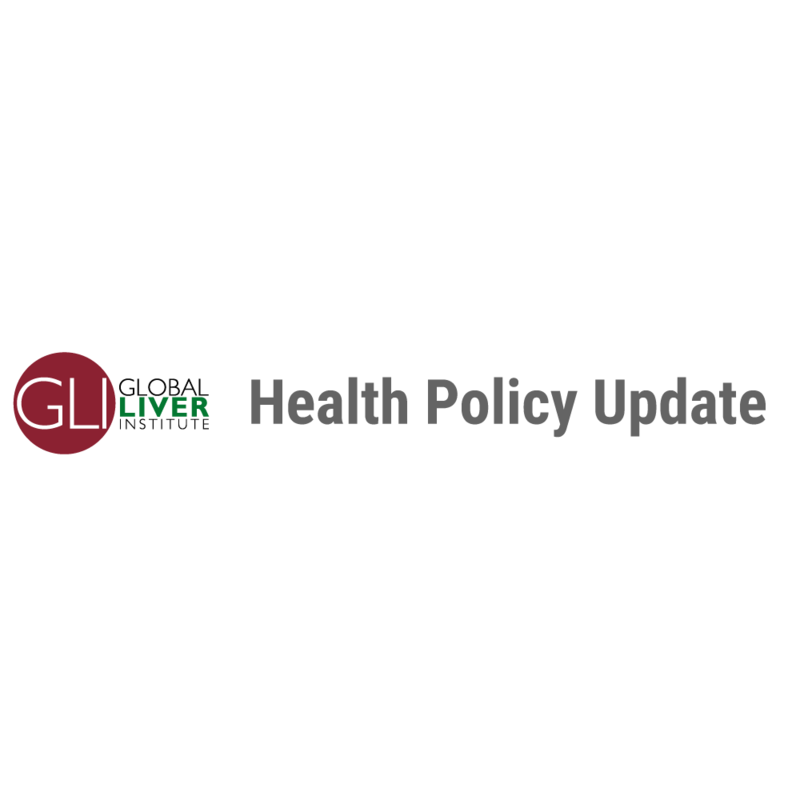 If we can commit to forging a common liver health agenda with coordinated branding, messaging, and policy priorities we can move forward with the power that our numbers should provide and provide a stronger platform for each of our efforts. Advanced Advocacy Academy Application deadline has been extended to October 11th, 2017. Spots are filling up fast. Apply now! The U.S. Preventive Services Task Force (USPSTF) posted a draft research plan on screening for hepatitis C virus infection in adolescents and adults. Read the draft research plan and submit your comments by October 18, 2017. The Centers for Disease Control and Prevention (CDC) Advisory Committee on HIV, Viral Hepatitis and STD Prevention and Treatment is hosting a public meeting on October 25, 2017, 9:00 a.m. to 5:30 p.m. (Eastern) and October 26, 2017, 9:00 a.m. to 4:15 p.m. (Eastern). Learn more about the Advisory Committee on HIV, Viral Hepatitis and STD Prevention meeting and how to participate. To contribute to future health IT policies and standards, apply to become a member of the Office of the National Coordinator for Health Information Technology's (ONC) Health IT Advisory Committee (HITAC). Are you a liver cancer patient or survivor? The Exercise Oncology Lab at the University of Illinois at Urbana-Champaign is conducting an online study examining exercise programming and counseling preferences of liver cancer patients and survivors. GLI is proud to host the Advanced Advocacy Academy (A3), a workshop designed to train patients with the skills they need to conduct effective advocacy. Learn more about becoming a Liver Health Advocate and apply at globalliver.org/a3. 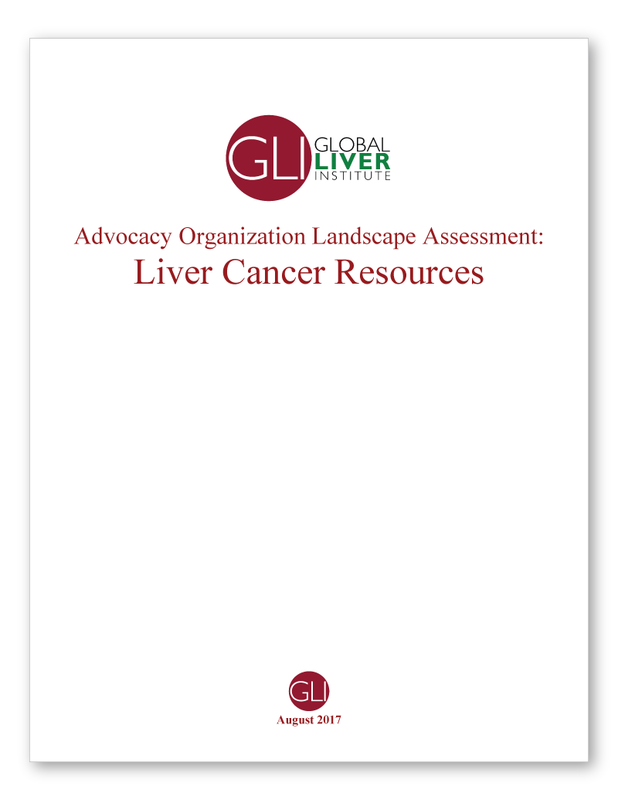 GLI recently completed a landscape assessment of cancer advocacy organizations examining the liver cancer-specific resources available to patients and healthcare professionals specific. The study was done from the perspective of a naive consumer as to mimic the patient experience in finding resources specific to a diagnosis of liver cancer. Read the study to learn more about liver cancer resources and their availability. October 16-17: Rare Diseases and Orphan Products Breakthrough Summit. Washington, DC. October 20-24: AASLD’s The Liver Meeting 2017. Washington, DC. October 31-November 2: 2017 PCORI Annual Meeting: Delivering Results, Informing Choices. Arlington, VA.
November 1-3: World Hepatitis Summit. Sao Paulo, Brazil. November 9-11: EASL First NAFLD Summit. Rome, Italy. November 10-11: GLI's Advanced Advocacy Academy. Washington, DC. November 14-16: 13th Annual Personalized Medicine Conference. Boston, MA. November 17-18: International Viral Hepatitis Elimination Meeting. Amsterdam, The Netherlands. In celebration of International PBC Day 2017, which took place on September 10, ELPA called for people across the globe with primary biliary cholangitis (PBC) to share their stories. “PBC and Me” had the goal of reducing the stigma associated with liver diseases that many patients face in their day to day lives. Learn about PBC and how ELPA is striving to tackle stigma and raise awareness about it. WHO convened “Guidelines for the screening, care and treatment of persons with chronic hepatitis C infection” to address some of the pertinent questions for care of hepatitis C patients. Topics discussed included use of direct-acting antiviral therapy as hepatitis C treatment and which antiviral therapies are preferred in the treatment of hepatitis C. WHO is also examining methods to further research in hepatitis C and implementation issues for all mentioned recommendations. 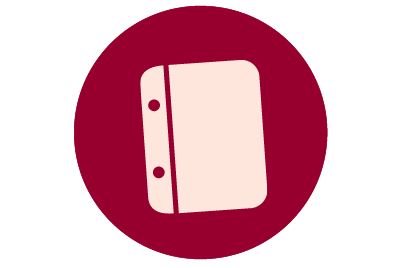 Check out WHO’s guidelines and the people involved in making them to stay up to date on hepatitis C treatment and care. CLF celebrated Canada’s Liver Health Month this year with their #TooClose4Comfort campaign. The campaign highlighted the invisibility of many liver diseases with the slogan, “You may not see liver disease, but that doesn’t mean it isn’t there”. To celebrate liver health, CLF shared facts about liver disease, risk factors for a variety of conditions, and the importance of talking with one’s doctor about liver testing. Explore what CLF shared to learn more about liver disease, take a quiz on your personal risk, and read patient stories. FDA granted orphan drug status to Eiger BioPharmaceuticals for pegylated interferon lambda as a potential treatment for chronic hepatitis D. A rare and serious infection, hepatitis D only exists as a coinfection in individuals diagnosed with hepatitis B and can lead to accelerated liver fibrosis, liver cancer, and liver failure. Learn more about hepatitis D and pegylated interferon lambda as its potential treatment. FDA approved Opdivo (nivolumab) for the treatment of hepatocellular carcinoma in patients previously treated with Sorafenib. The drug, manufactured by Bristol-Myers Squibb, is a groundbreaking development in the treatment of the primary liver cancer as it is the first and only immuno-oncology agent to gain FDA approval. With hepatocellular carcinoma incidence and mortality both increasing, this approval is important to liver cancer patients and has the potential to lead the way for further research and treatments for liver cancers. Read more about Opdivo and hepatocellular carcinoma. PCORI published a blog post titled “A Clinician’s View: Patient-Centered Research is the Path to Better Health Care”. The blog post highlights the importance of the patient experience in determining best practices in treatment for individuals. The post also expanded on PCORI’s specific use of patient-centered research and outcomes to demonstrate reasoning behind establishing an individual’s best treatment route. There is a need for better communication between health care providers and patients and families to choose the best health care practices for each unique circumstance. Read the blog post to further explore PCORI’s preference and use for patient-centered research. Mechanisms of Disparities in Chronic Liver Diseases and Cancer. Funds available from NIH: $200,000. Application deadlines: April 4, 2018 or April 4, 2019. Consortium on Translational Research in Early Detection of Liver Cancer: Data Management and Coordinating Center (U24). Funds available from NIH: $600,000. Application deadline: October 24, 2017.